on Saturday July 20th, 2019. Previous race results and photos are here. The Rochester Youth Triathlon, presented by Excellus BlueCross BlueShield, is for youth 6 to 17 years old and features the only Teen Super Sprint in New York State! If you can swim, ride a bike, and run (or walk), come out and give it a tri! This event is held at Genesee Valley Park on a Saturday morning in July. The swim is in the 50 meter outdoor pool at GVP. The bike ride is on paved bike trails along the Genesee River. The run is on paved trails and sidewalks in the park. All participants will get a t-shirt (register by July 6th to be guaranteed t-shirt size) and finisher's medal. The top three finishers for boys and girls in the Teen Super Sprint will receive awards. There will be 3 distances. You decide which distance you want to do. Yesterday's race was our family's first experience with a triathlon. Our boys had a great time and can't wait to do another. Please thank all the volunteers! See you next year! Thank you for another great triathlon! My kids loved it and I enjoyed cheering everyone on. What an awesome event. The kids feel like true champs afterward. Great event today! Thanks for all your efforts. I know our kids enjoyed it and I enjoyed being a volunteer for the first time… Looking forward to another great event next year! From a teen participant: Thank you for the work you did – it was a ton of fun. Thanks for all the organizing! Looks like kids had lots of fun -- I know that [my son] did! Thank you for coordinating the youth triathlon event. My daughter enjoyed being a participant and it is a joy to watch families and friends come together. Many thanks to the volunteers also. We appreciate the sacrifice involved pulling it all together for our community to enjoy. Thanks again. Thanks to you and all those on the committee that put the kids tri together... my boys had a great time. It's a great event. Thanks for another wonderful triathlon! THANK YOU! Another great event. A triathlon is an event with 3 parts: first you swim, then you ride a bike, and last you run (or walk). Yes, you do all 3! Registration is open now, click here to register. Check out these articles, USA Triathlon Kid Zone, Team USA Youth Tips and Smile Safari for training suggestions and other triathlon information for kids. 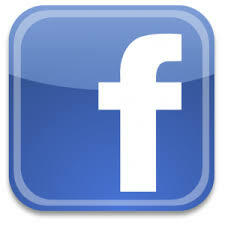 For free swimming lessons and information about pools in the City, check City of Rochester swim lessons. I am not a good swimmer. Can I still participate? Yes! You can swim any stroke (including dog paddle! ), hang on to a lane line if you get tired, or use a kickboard if you want. If you have never passed a deep water swimming test, then you will do the swim part in the shallow end, which is only 3 feet deep (this option only works for kids signed up for the Short Course). Lots of kids asked for it, so we are offering it. Times will be posted by bib number only, so if you don't want anyone to know your time, you don't need to. We are also using timing for safety reasons to help us keep track of all participants. Transition is when you change from one activity to the next. There will be an area set up near the pool where you will leave your bike and everything you need for the bike ride and run. Can parents help their kids in transition or on the course? No. For the safety of all the kids, no parents are allowed in transition or on the course. We will have lots of volunteers to help the kids all along the way. There are many spots along the course where family and friends can cheer on the athletes. My child has special needs. Can s/he participate? Yes, if you think s/he can do it. If your child has special needs and needs a support person in order to participate, please e-mail the race director at kidstri_info@RochesterTriathletes.com so we are aware of the situation. You are responsible for finding a support person for your child. The support person must check in the day of the event so we can identify this person in the transition area. What do I need to bring to the triathlon? For the Teen Super Sprint, there will be awards for the top three finishers for boys and for girls. 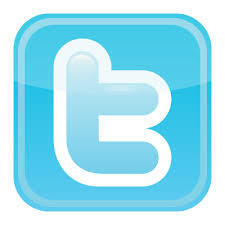 For the Short Course and Long Course, there are no awards but results will be posted on-line shortly after the event. Parking is available at Genesee Valley Park, 131 Elmwood Avenue. Parking is also available across from Genesee Valley Park on Plymouth Avenue near the ball fields (volunteers will direct you) and by the tennis courts off Genesee Street. Thursday (July 18th) to donate them to R Community Bikes, a grassroots organization that collects and repairs used bicycles for distribution, free of charge, to Rochester's most needy children and adults. See http://rcommunitybikes.net/ for more information about their program. If you have never taken a deep end test, but know you can swim safely in the deep end, come by Genesee Valley Park on Thursday (July 18th) to take a deep end test in the Genesee Valley Pool (free). Come by Genesee Valley Park on Thursday (July 18th) to see where the youth triathlon will be. We will have course maps and point you in the right direction if you want to ride or run the course. Sponsors help make this Triathlon possible. Thank you to our sponsors so far this year. In order to make this event a success, we need sponsors to help cover the costs. Sponsors will get their logo on the RATs website, linked to their own website, and their logo on the race t-shirt. They may also distribute information or goodies at registration. 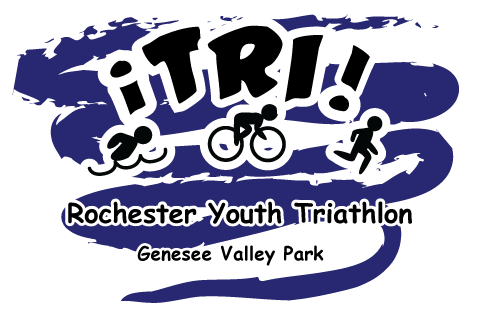 If you are interesting in sponsoring the Rochester Youth Triathlon, please contact the Race Director, Gordy Whitaker, at gordy.whitaker@rochestertriathletes.com.